Home / NEWS / Rami Malek Is On Fire – So We Mapped Out His Next Career Moves! 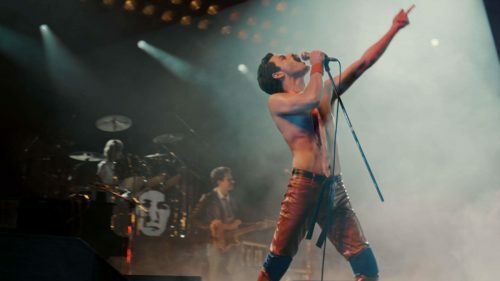 Bohemian Rhapsody has made its impression on the fall movie season. It took the number one spot at the box office and has fended off some fairly major titles en route to massive earnings so far. From a critical perspective though, the reviews are more mixed – and in fact, a clear consensus seems to be emerging. Bohemian Rhapsody is fun but far from exceptional, and far from accurate as well. Lead actor Rami Malek, however, who had the impossible task of bringing Freddie Mercury to life on screen, just catapulted himself to the front of any conversation about the next big thing in Hollywood. Still only 37 years old, Malek has already appeared on a prestige miniseries (the Tom Hanks-produced Band Of Brothers follow-up, The Pacific), starred in his own network television show (Mr. Robot) and now headlined a big screen biopic that’s likely going to get him a nomination for Best Actor at the Academy Awards. He’s showcased about as much range across those three defining roles as any actor could with any three parts, and in all likelihood he’s about to have offers rolling in from all sides. So we gave a little thought not to specific people or parts, but to types of roles that seem ideal for this explosive new Hollywood talent. This might be a little bit too similar to Mr. Robot, but there’s something about Rami Malek that simply makes him seem like a tech maestro. He has a combination of youthfulness and mental authority that would make him fit in as a hacker, a social media CEO, or just about anything in between. And rest assured, we aren’t anywhere near done with tech movies. Whether we see something along the lines of a biopic or historical fiction (like Steve Jobs or The Social Network), a fiction designed as a piece of commentary (like The Circle), or a drama that simply uses tech companies, such a piece involving Twitter’s impact on modern politics, it seems Malek would fit the bill. It’s hard to imagine this being a bad move for the rising star. People debate Bond villains, perhaps not as often as they debate the next Bond, but still often. And in large part, villain casting in films like these depends on the script. For instance, the iconic villain Jaws couldn’t exactly have been played by a 5-foot-tall actor, and Silva, the Javier Bardem villain from Skyfall, had to be believable as a strapping 00 agent-turned-brute. Speaking more generally though, Malek would seem to have the persona to pull off a pretty chilling baddie under the right circumstances. He’s not a villain in The Pacific, but he vaguely sociopathic in a gripping and borderline unsettling manner. Tapping into a bit of that, perhaps with more eccentricity, could make for a heck of a big screen antagonist – if not in Bond, then in another major franchise. Poker films can seem a little bit tapped out sometimes, but rest assured we’re nowhere near done with them. Ryan Reynolds starred fairly recently in the underrated Mississippi Grind, which captured a sort of old-school poker flick vibe. But there’s also the opportunity to go modern with it. American audiences could soon experience a second amateur poker boom in fact, thanks to the slowly but surely expanding role of online casinos in society (after years of tight restrictions). Game providers in New Jersey are now allowed to put out real money games, as opposed to just those in Nevada, and there’s high demand for more on this front. This could mean two things for film: a formulaic poker film on the grounds of renewed interest, or a new take focusing on the tech side of the games. Either way, poker movies always seem to be at least somewhat popular, and imagining Malek and those hypnotizing eyes scanning a poker table is enticing. Getting away from specific types of roles and movies, there’s also something to be said for Malek taking on a smaller part! Bohemian Rhapsody proves his ability to headline a major project and look great doing it. 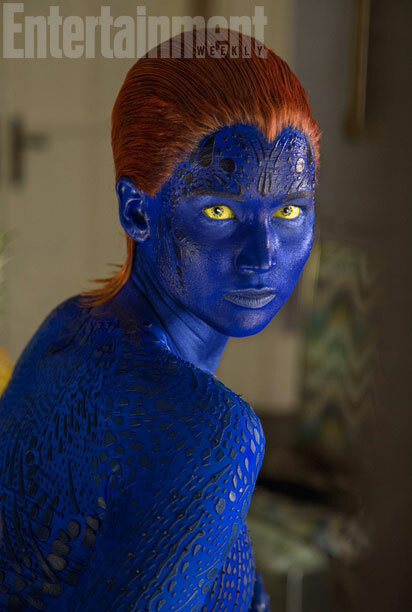 So why not prioritize an excellent movie over the perfect role – or even a starring one? It may ultimately make the most sense for Malek and his team to keep an eye on films aiming for awards and Oscars season prowess, and try to get involved in any way possible. This would keep him in people’s minds not just as a movie star but as a top-tier professional actor, and one would imagine it would set him to do just about anything he wanted thereafter.